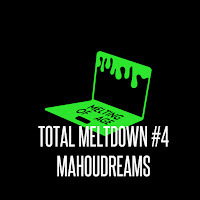 Filled with a ton of sizzling and blissful tunes, Mahoudreams curated this month's Total Meltdown Playlist for you to discover new and exciting artists! Check it out and enjoy below! 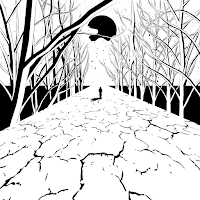 BAD DIMENSIONWritten by: McTavish Jones In Foxful’s LP, BAD DIMENSION, we are greeted with a melancholy tone and vibrance. This album begins a new form of Foxful. A deep smooth melancholy sound. the snappy snares with warm basses create and solidify the rhythm while the bright synths jump on top. We have a lot to look forward to from Foxful and this is just the beginning of a new sound. Below share and listen to Foxful's new album, BAD DIMENSION! Also available for purchase here! 1) What other forms of entertainment or art inspired you to create this album? While making the album I drew a lot of inspiration from cinematic work such as Stranger Things, Hannibal the television series, The Twilight Zone and defiantly the anime Steins;Gate as well. Video games like The Legend of Zelda and Skyrim also had some influence. 2) What was the creative process like when creating this album? Being the second release from his upcoming EP, Indoor Rainforest, Lewis Cancut makes us all buzz with anticipation with "Body Querty." A sassy and peculiar tune, Lewis plays with squeaky and high pitched sounds and vocals that captures your attention, on what feels like, the first beat. With body moving drums, "Body Querty" has a magnetic and exotic charm. Already laying down the first couple tracks, via NLV Records, we are just beginning to taste what his EP will deliver. Below share and listen to Lewis Cancut's "Body Querty." It's always exciting to hear new music that is strongly cloaked in an artist's beautiful sentiment but even more so is when you too can also feel the vibrations of these feeling. Wrapped in hypnotic vocals and caressing soft bass, the new Sakima track will drift you away into musical waves. Lyrics of courage and lurking ambition, the UK producer warns us that only great things will derive from him. Released from the music label, Manifesto, "All Your Secrets" perfectly showcases his warm and tender voice and ability to produce music that touches the emotions of many. 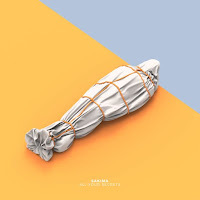 Below share and listen to Sakima's "All Your Secrets"! From Hamilton, Canada, Max Schramp, aka SLEEPYCATT, has a variety of styles when it comes to creating club music. From hip-hop trap tracks to slamming Jersey Club tunes, this Canadian producer has the heat you will definitely enjoy. Tracks like "Not What You Think" featuring Jay Portal and his recent release of a DBLCRSS remix are just a few examples of what his diverse music catalog offers. 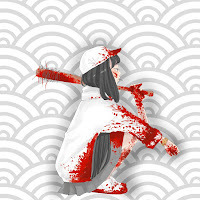 Member of the music collective, JiggyThvtMusiic, SLEEPYCATT's Jersey Club influenced style incorporates house and bass to give a flair of enthusiasm and playful energy to his creations. For Point of View Interview #36, SLEEPYCATT blessed us with an exciting interview and an exclusive guest mix! Hope you enjoy! Formerly known as Wild Calling, the Detroit-based producer, Ashiro, comes back again with a heavy hitter titled, "Paradise Lost." A track with a dreamy intro leading into vigorous musical momentum is not just a song but a journey. With soft piano ballads and destructive synths and bass, Ashiro experiments with the styles of dubstep and electro to enhance the range of music he has in store. Being the third strong release under his new moniker, Ashiro is one to keep an eye on. Below share and listen to Ashiro's "Paradise Lost"! This refreshing and captivating EP, SKULS released last month, is quite slept on in my opinion. 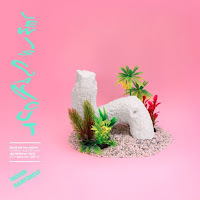 Based in the golden state, California, the duo dropped a mystifying EP, via Terrorhythm Recordings, that will collect all your nerves and sensations with trap and tribal beats and vocals. From the rich and echoey intro, "1501" to the glass shattering track, "Lotusville," SKULS brought us a 4 track EP that displays fearless emotions and bold attitudes. Every dynamic song on Terminals is a facet of what SKULS believe in when it comes to generating genuine reflective music. Below share and listen to SKULS's EP, Terminal! Omniboi delivered to us a precious gem that incorporates all of our favorite things about him as an artist. 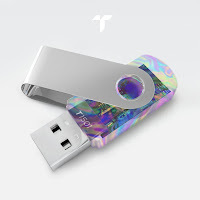 This devoted track compiles melodies of various Porter track's as well as his own giving us the perfect tribute to the Worlds creator. With characteristics of a large marching band to jazzy instrumentals, Omniboi has a talent in making music that touches the emotions of others in the brightest way. And with his signature piano melody merging within the song, I wouldn't blame you for shedding even the lightest tear. Below check out Omniboi's "Shelter'd"! Also create a SoundCloud track station here! "JAGUAR"Written by: AREN STRIDER is the creator of HI-CHEW, which is a monthly radio show featured on Datafruits.fm. Strider makes some very unique beats, songs, and mixes. 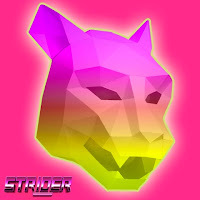 STRIDER's newest track “Jaguar” (released on November 2nd, 2016) brings a very mellow tone, but picks up pace making the song seem full of joy! The vibe that is created with the chirping of the birds, the sounds of someone walking on grass, and water dropping makes you feel as if are you in a magical forest. The combination of the beautiful beats and the ambience makes for an exceptionally amazing song that is enjoyable and serene. Please be sure to listen to this excellent piece of work and tune into HI-CHEW on Datafruits.fm. "CHERRY KISSES" FEAT. 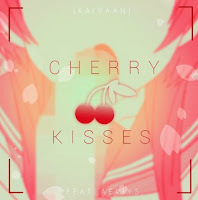 AERIYSWritten by: McTavish Jones “Cherry Kisses,” by Kaivaan featuring vocals by Aeriys, begins as an airy and dreamy track beginning smooth with a deep sub bass and a vocal chopped melody. The vocalist then lays a thin but delightful rhythm to the song. The track then crashes into a loud drop with menacing sub basses with punchy kicks and a melody bouncing. This track changes moods and rhythm giving this song a unique listening experience. Below share and listen to Kaivaan's "Cherry Kisses" feat. Aeriys! From remixing Major Lazer's "Cold Water" to releasing songs off of Darum Direct, Ocular is unstoppable when it comes to music you are bound to fall in love with. 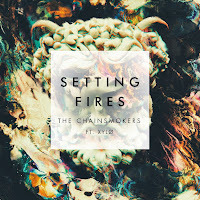 This North Carolinian producer can literally set us on fire with his new remix of The Chainsmoker's "Setting Fires." Giving a lovely rich future bass vibe to the chill trap beat original, Ocular can always successfully turn any track into his own style. If you are ever feeling down, this is a remix you will want to listen to. It'll make your day feel even brighter! Below share and take a listen to Ocular's remix of "Setting Fires"! It's been a second since we were treated with a song by the lovely East Coast producer Dirty Chocolate. Collaborating with Abbi Press, this duo bring us a beautiful re-edition of The Weekend's "Starboy." Taking it to a slower realm of melody and giving you goosebumps with the smooth and tranquil voice of Abbi, this remix is as creamy as it gets. Dirty Chocolate playing with stretching and echo-y vocals, the track builds into an enticing upbeat conclusion, leaving us in a submerged pacific feeling. 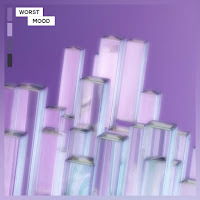 Below, share and to Dirty Chocolate and Abbi Press's track, "Worst Mood"! Also, available for download here! Creating art that enhances your visual appetite for unusual and remarkable art, graphic artist, Kiki Miura has just the skills to fulfill this need. From Honolulu, Hawaii, Miura can illustrate and produce 3D scenes and designs that show emotion and consistent personality in each one. The objects she chooses and the contrast colors incorporated, she really has an eye for combining pieces of unique character to give us stimulating art that works together cohesively and vibrantly. Her art is intriguing the eyes of many, from working on flyers for various nightclub events to eye-catching music cover art, Kiki Miura continues to express her creative self in the visual art she offers to the world. It is truly a pleasure and gift we get to see. 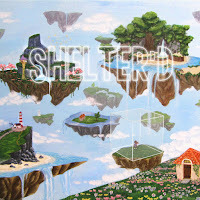 Below, check out the interview I had with the amazing visual artist, Kiki Miura! Enjoy! Question 1: What got you into making graphic design/art? If you want something that is refreshing and new, PRISM LITE has the album for you! The new beautiful album, titled, Elements, caresses your ears with smooth and delightful chimes and drums. 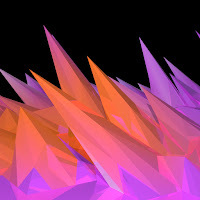 Incorporating hip-hop vocals with jazz flute, trumpet, and trap beats, the eclectic sound PRISM LITE contains will ultimately satisfy the mind. Tracks like "Fly" and "No Presidents" featuring Riverwave 川の波, are what give this album edge and enthusiasm for making music that speaks to people. Releasing via Mt. Fuji Tapes, the whole album is one of the most incredible and surprising projects I have heard in a while. 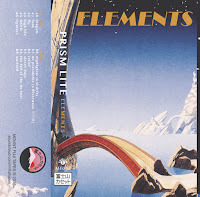 Below check out PRISM LITE's album Elements! Also available for download and purchase here! "GHOST KIDS"Written by: McTavish JonesIn the track "Ghost Kids" by Blood Code x Dreamcasts we are bombarded with sharp and loud SAW sounding synths. A melody surfs and dances on top of the hardy chords. The song then transitions to a future club hit, using distorted kicks to pound the rhythm and staccato chords bouncing back and forth. Also this song has spooky laughs through out the song and at the beginning, making it a great track for a Halloween party. 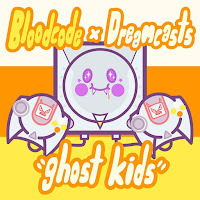 Below share and listen to Blood Code and Dreamcasts's track, "Ghost Kids"! Paradym is a producer from the city of Boston who is making music to swarm your ears with riddle and chill. After releasing a new enticing and twisted track via Heroic Recordings, titled, "Down Below," we are more than excited for everyone to experience the EP, Shadow Puppets as whole! His music has character and darkness giving us twisting and unique tracks. 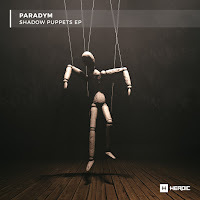 Below, check out the Q&A with Paradym where he briefly tells us what we can expect from his new EP dropping this Friday! Enjoy! Also, "Down Below" is available for down here! What was your inspiration behind the unreleased EP track, “Mercy”? How about for “Down Below”? Naisu released a new mysterious track titled, "Traits," a song reflecting a short short story he wrote about a character named Mitsuko. Using vocals of Jaden Smith in Childish Gambino's "Late Night in Kauai," Naisu gave us a dark and captivating piece of art, exposing Mitsuko's personality and character in more depth. From Naisu's narrative of this young and courageous girl to the intriguing artwork done by @aiodraws, this project really came together nicely, displaying the limitless artist he is. Below, check out the Artist Q&A I had with Naisu, talking all about his new track. Enjoy! Read the story of Mitsuko in the description here. Also, "Traits" is available for download here! 1. What was the inspiration behind the track, "Traits" and the character of the story, Mitsuko?